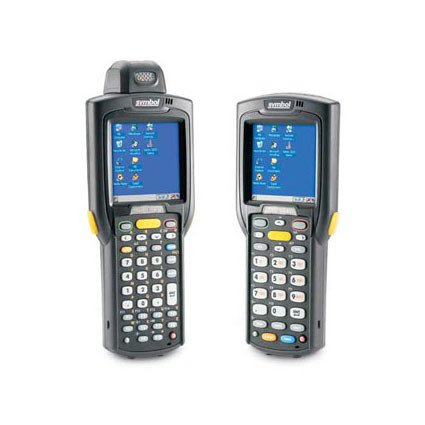 The Symbol MC3000 line of portable data terminals provide a lightweight and rugged solution for applications requiring high-quality and reliable data capture/computing. The Symbol MC3000 had an available Wireless 802.11x and bluetooth option that allows the MC3000 to synchronize data in real-time, speeding data capture and analysis. Brick/Imager Configuration: 3.18" x 1.76" x 7.43"
Brick/Laser Configuration: 3.18" x 1.57" x 8.33"
Gun Configuration: 3.18" x 7.60" x 6.54"